Claire was an infant Stegosaurus that encountered Dr. Sarah Harding while she was conducting research on dinosaurs in 1997 while on Isla Sorna, InGen‘s Site B. Claire’s name comes from the nick-name that the crew of The Lost World: Jurassic Park gave the baby Stegosaurus animatronic puppet during production, and is not an in-universe name. 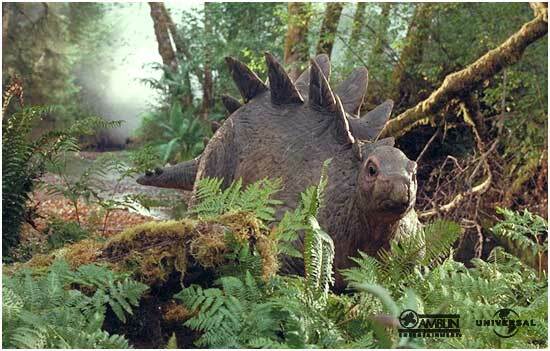 Claire was first encountered by Sarah Harding after she followed a family group of Stegosaurus along a shallow creek. Crawling up to the grazing infant, Sarah used a Nikon F5 to take several pictures of Claire before touching the infant’s head and snout, which Claire allowed. However, after taking a few more pictures, the camera ran out of film, causing it to rewind the roll. The noise from this spooked Claire, who gave a distressed howl. 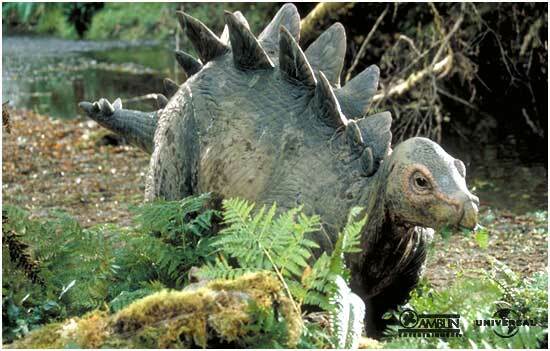 The adult Stegosaurus in the herd, who noticed Sarah too close to the infant, charged Dr. Sarah Harding. Sarah, dodging the adult’s sweeping thagomized tails, took shelter in a hollow log where she narrowly avoided impalement. 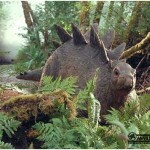 The Stegosaurus adults, apparently appeased that Sarah was no longer a threat, quickly left the area with Claire in tow.